Right very early in the morning, when I turned on my TV set here in Brazil (we are one hour ahead of the US at this time of the year) and learned, in shock, of the fatal shooting of Sean, a valiant officer whose mission was to keep the MIT community safe, I sent a message to my Educational Counselor coordinator, asking her to extend my deepest sympathy to the family that suffered such an irreplaceble loss. I repeat my message now by this means. May Sean rest in peace and may our Good Lord help his family to cope with this terrible situation. Deepest sympathies to the Collier and MIT families on the loss of this heroic Police Officer. It is unfortunate that it took the loss of Sean's life in the performance of his duty, to lead to the capture of two individuals responsible for terrorist acts against the United States and its citizens. He will forever be a hero in the hearts and minds of law enforcement officers everywhere! There are no words to express my sorrow for your family. I am a child of a police officer and remember always being nervous until I heard the key turn in the door. Please know that I pray for his soul and you family faithfully. I know this does not mean much how could it with a lose as great as yours . You will all be forever in my heart!! We would like to extend our deepest condolences to the family of Sean Collier. They are in our thoughts and our prayers. We lost a fellow commrad last year from our Constables office as well as two firefighters this year and know the shock, sadness, and disbelief that you feel. Sincere condolences to the family of Sean Collier. Appreciated his duty as a law enforcer. He seemed like a very good, young man with a great future. Am grateful that he was on our campus protecting us. My condolences to Sean's family. We should all stand united. My sincere condolences to Sean's family and friends, and to all who lost thier lives April 18th. I'm proud to know the teamsters have stepped up. 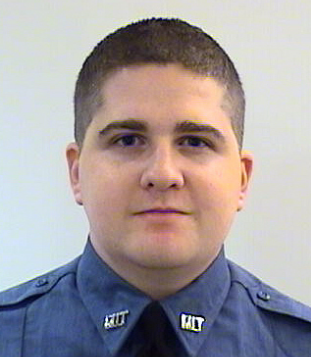 God bless Sean Collier for Giving to the Pool of Goodness. It is from such pools that taking happens for those who need it. From the way fear and hate are spreading in the world it seems those giving to that Pool of Fear and Hatred is far greater than those contributing to the Pool of Goodness. Because that is where more taking and spreading of fear seems to be going on. Let us all pitch in, to change the tide, by generously contributing to the Pool of Goodness and make Sean's sacrifice become meaningful to our future. My heartfelt condolences to the Collier family for the loss of Sean. He clearly brought warmth to the lives of others at MIT, and reminds me of the helpful officers who kept the MIT campus safe during my studies there. May he rest in peace. My condolences to Sean's family. Just remember, he did not die in vain. May he rest in peace. I am sorry to hear about colliers death I saw on t.v. about the bombing I was sad to hear tha there was another bombing that killed more innocent people and injured others Igive my best wishes to the collier family my name is karla Ilive La. Rest in Peace Brother we have the watch. Thank you for your remarkable service. I never met you on campus, but it is amazing to me how many lives you truly touched at MIT in only a year. You were clearly born to serve others. At MIT there is a tendency to become overwhelmed with our research and work, but seeing the tributes to you I am reminded of the things that are truly important. The many people you have helped and inspired here and around the greater community will be the lasting tribute to you. It breaks my heart to think how much more good you would have done had your life not been taken so suddenly. I never met you but I will always be inspired by your deeds both before and on that tragic night. That to me is the definition of a true hero. Our thoughts and prayers are with our brother officer, may he rest in peace. My heartfelt condolences to Sean's family, friends and the MIT Campus. It is obvious Sean was an amazing, young man who left his mark on his community during his short life. G-d Bless and may he rest in peace. Officer Collier gave his life doing a job that he believed in., and for that he will always be a hero. My deepest condolences go out to the friends and family of this brave man. To all his fellow officers out there, please stand strong out there, knowing that we stand behind you. ..
My family and I wish to extend our deepest sympathy to the Collier family for your loss. Our thoughts and prayers are with you. We didn’t know Sean, but it sounds like he was a great guy. May god be with you all. As a mother of a police officer, I truly want to extend my sincere sympathy upon the untimely passing of your son, Sean. I know that my daughter wouldn't be happy doing anything else, despite the danger and risks of being a law enforcement officer. Your son paid the ultimate price in keeping the MIT community safe for all. I will keep you in my thoughts and prayers, and continue to have a heavy heart at the loss of your son. May God be with you during your time of loss and healing.